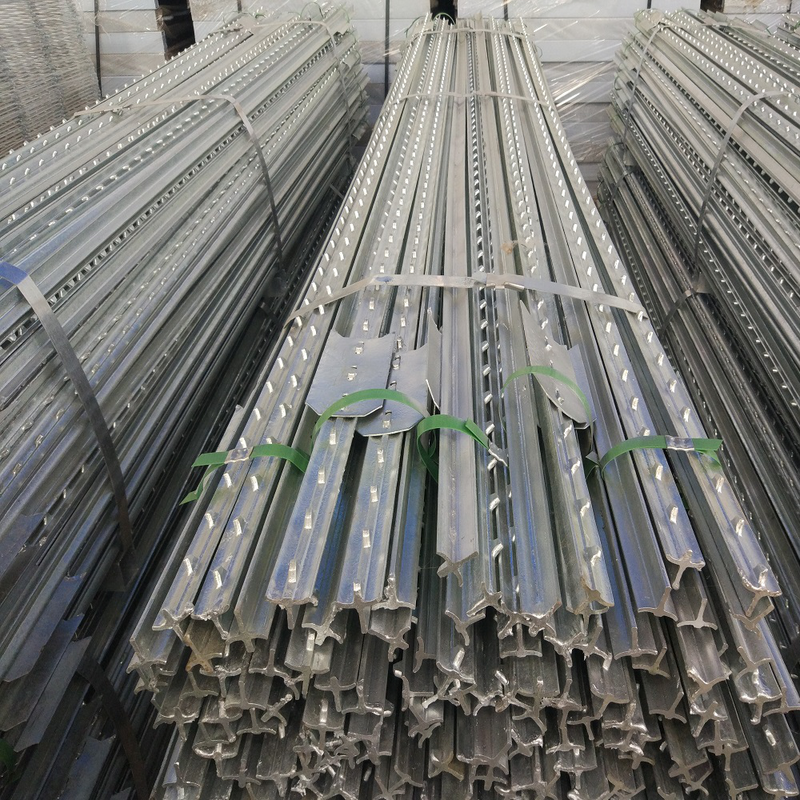 Product categories of T Post, we are specialized manufacturers from China, T Post, T Post Fence suppliers/factory, wholesale high-quality products of Steel Fence T Post R & D and manufacturing, we have the perfect after-sales service and technical support. Look forward to your cooperation! This kind of special designed post can be installed with the panels without clamps and bolts, with easier installation and wider application.T Post enjoys an improved rate of 30% in its mechanical property and physical property compared with common steel posts with same section size.T post have nice appearance, easily used, with a low cost. It can also be recovered after years, meet the requirement of national environmental protection, is a kind of environmental friendly product.Steel T post painted commercial grade Fence Post and tree stake; rail steel construction punched, studded and painted green brown and galvanized for all applications steel T-bar posts. It`s many uses include: snow fence,construction fences,hinge lock farm fences.